These Terms and Conditions ("the Terms and Conditions") govern your ("the User") use of the Mac-Eden Estate (Pty) Ltd ("Provider") website located at the domain name www.macadamianuts.co.za ("the Website"). By accessing and using the Website, the User agrees to be bound by the Terms and Conditions set out in this legal notice. The User may not access, display, use, download, and/or otherwise copy or distribute Content obtained on the website for marketing and other purposes without the consent of the Provider. 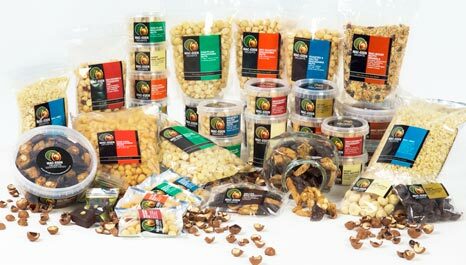 The Website www.macadamianuts.co.za sells the Mac-Delight range of food products online. The use of any product or service bought from this Website is at the purchaser's risk. The purchaser/ user indemnifies and holds the Provider harmless against any loss, injury or damages which may be sustained as a result of using the products sold on the Website. This Website is controlled, operated and administered by Provider from within the Republic of South Africa. Access to the Website from territories or countries where the Content or purchase of the products sold on the Website is illegal is prohibited. The User may not use this Website in violation of South African export laws and regulations. If the User accesses this Website from locations outside of South Africa, that User is responsible for compliance with all local laws. These Terms and Conditions shall be governed by the laws of the Republic of South Africa, and the User consents to the jurisdiction of the Witwatersrand High Court in the event of any dispute. If any of the provisions of these Terms and Conditions are found by a court of competent jurisdiction to be invalid or unenforceable, that provision shall be enforced to the maximum extent permissible so as to give effect to the intent of these Terms and Conditions, and the remainder of these Terms and Conditions shall continue in full force and effect. These Terms and Conditions constitute the entire agreement between the Provider and the User with regard to the use of the Content and this Website.